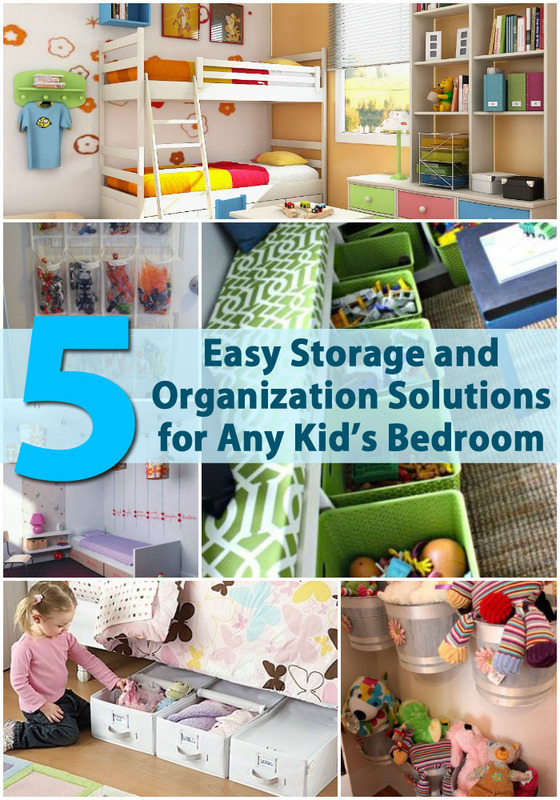 Whether your child has a large bedroom or one just big enough for the major essentials, there are storage solutions that will enable you to organize your child’s bedroom no matter what its size. Using Command hooks, you can easily hang buckets on the wall which work well for keeping stuffed animals and other toys off the floor. 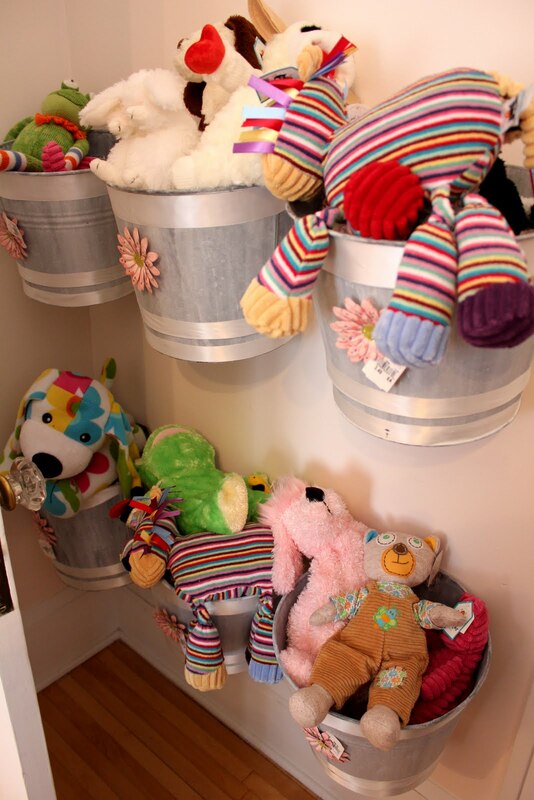 Your kids will love these buckets hanging on their bedroom walls and they are great for making a game out of tossing stuffed toys in when cleaning up. Via: Itsy bits and pieces – The Bachman’s Spring 2011 Ideas House- the Bedrooms. Even if your child does not have a trundle bed, you can enjoy the same amount of storage space. 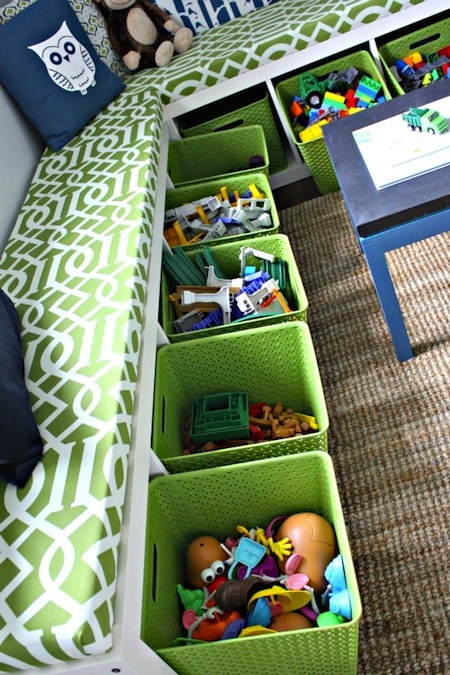 You simply have to add a few canvas totes or boxes that fit underneath the bed. 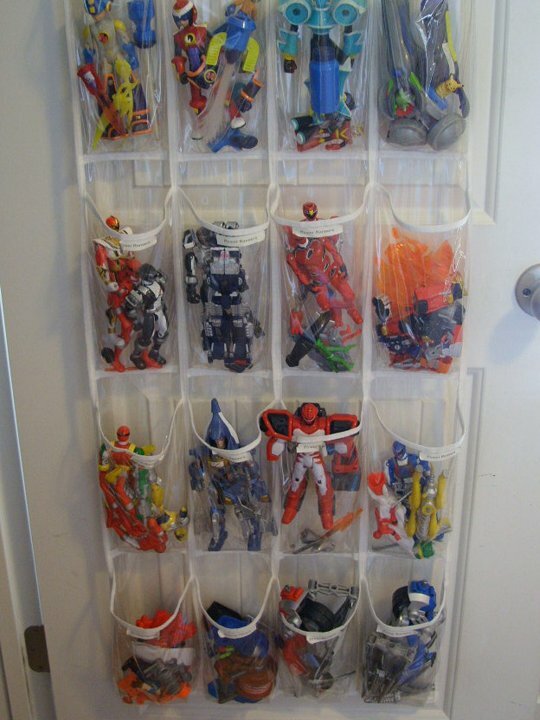 They will slide out of the way and store loads of toys. 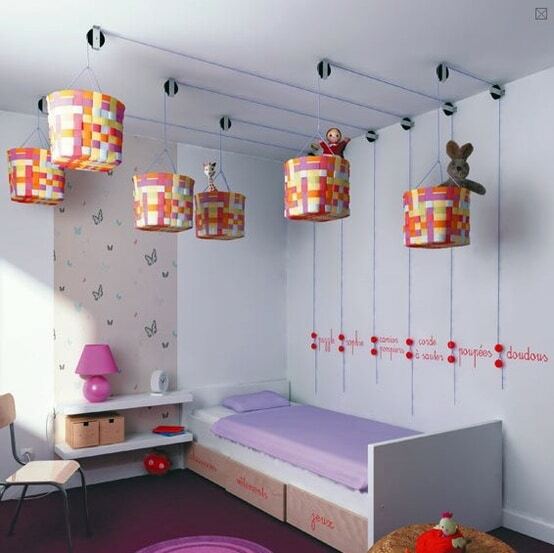 This is a great idea for utilizing space that is normally wasted. Via: Amazon.com – One step ahead my closet underbed storage bin.